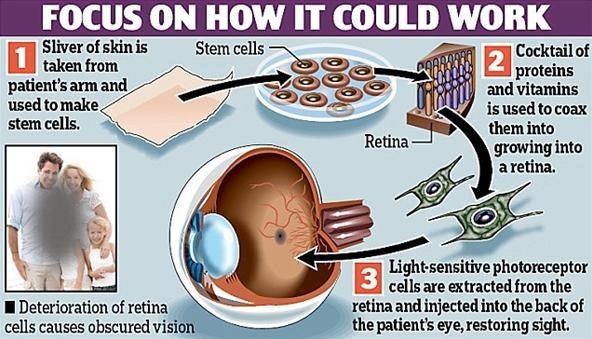 Experts believe the synthetic retina cell technology could be transferred from mice to humans in as little as five years, meaning in just ten to twenty, sight could potentially be restored to the blind. Professor Yoshiki Sasai reports: "What we've been able to do in this study is resolve a nearly century-old problem in embryology, by showing that retinal precursors have the inherent ability to give rise to the complex structure of the optic cup." This is so great if this can come true in future blind people be able to see again.